In order to help you master the topic of Abstraction. In this tutorial we will give an introduction to Abstraction in Java and define a simple Payroll System using Interfaces, Abstract Classes and Concrete Classes. 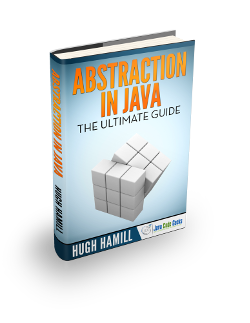 There are two levels of abstraction in Java – Interfaces, used to define expected behaviour and Abstract Classes, used to define incomplete functionality. We will now look at these two different types of abstraction in detail. In this course, you will get a look at the fundamentals of Android UI design. Angular based examples that will help you kick-start your own web projects. Hadoop is an open-source software framework written in Java for distributed storage and data.